Parashat Tol’dot recounts the story of Jacob and Esau, a story of brothers that begins in discord but that culminates in a mutual embrace. Jacob, with the encouragement of his mother, resorts to subterfuge to wrest the birthright from his slightly elder brother. Our Sages sought to justify this behavior by insisting that Esau was unworthy to carry on the values and divine mission of his parents and grandparents. Disguised as his hairy sibling, Jacob dupes his blind father Isaac into blessing him with the blessing reserved for Esau. Isaac’s confusion (or perhaps his ethical dilemma) at that moment is highlighted in his famous exclamation: “The voice is the voice of Jacob, but the hands are the hands of Esau.” Again, our Sages interpreted this to mean that Jacob’s voice was one of reverence and gentleness, while the hands of Esau were brutish and coarsened by acts of violence. Over the course of Jewish history, Esau became the code name the Rabbis used to refer to Israel’s persecutors, whether in the form of the Roman Empire or the Catholic Church. Jews often found themselves surrounded by neighbors who wanted to kill them just like the young Esau wanted to kill Jacob. But the Biblical story depicts a transformation in the fraternal relationship. In two weeks, we will read how Esau uses his hands, not to kill, but to embrace his brother. 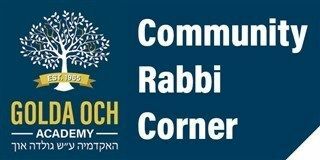 In the wake of the shooting in Pittsburgh, that is exactly what we have experienced as a Jewish community. Thousands upon thousands of people from so many different faith traditions have embraced us with sympathy, support, and love. There were countless vigils and rallies across this land. The headline of the Pittsburgh Post-Gazette displayed the words of the Kaddish in bold Hebrew letters. The Magen David was affixed to the uniforms of professional sports teams. As we mark the 80th anniversary of Kristallnacht today, we realize, that this is not the Germany of the last century. Yes, the murderous hatred of Esau still exists, but the transformative love of Esau truly abounds.